We’re a little more than halfway through 2018 with summer already in full swing – and those summer temps on full-blast. So, feel free to blast that A/C as we blaze through the new vehicles coming to town next year. We have quite a few cool cars and trucks to cover, so buckle up. 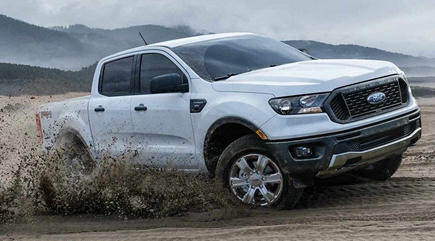 Back by popular demand, the Ford Ranger is finally making its triumphant return after an eight-year hiatus. The Ranger, which was discontinued in 2011, aims to come back strong with a complete redesign, including a high-strength steel frame, 2.3-liter EcoBoost engine and a 10-speed automatic transmission. The Ranger will also offer an off-road package, as well as on-road safety perks, like lane assist, pedestrian detection and automatic emergency braking. The new Ranger looks to be the perfect truck, whether on the farm or in the city. Have you ever wondered what it would be like to pilot a spaceship? 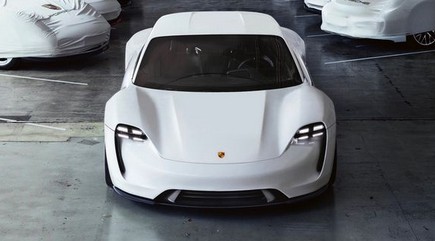 Well, Porsche would be happy to make that dream a reality with the all-new Mission E. The Mission E is Porsche’s first all-electric sedan, although it hardly has the look of one. The more than 600-horsepower engine takes you from 0 to warp speed in less than 3.5 seconds. And, as to be expected from Porsche, the inside is more than meets the eye. It features eye-tracking technology, allowing the digital instrument panel to move with the driver, based on their eye line. Plus, at around $85,000, it’s actually quite affordable to be a part of Porsche’s first major foray into the future. 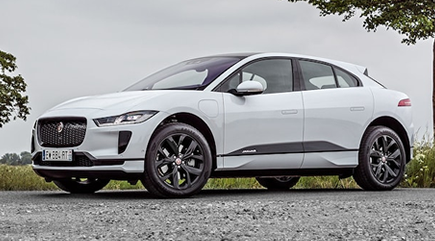 Ever since the Tesla Model X showed up on the scene, Jaguar has been on the prowl to make a better all-electric SUV, and it seems they may have done it. The Jaguar I-Pace is set to come out at the end of this year, sporting two electric motors that deliver 394 total horsepower to all four wheels. With a starting price of $70,000 the I-Pace is not only undercutting the Model X by nearly $10,000, but it’s also bringing more to the table with a longer range of miles, as well as an intuitive sleek interior design. The I-Pace is certainly setting the pace for all future SUVs and we will see how competitors keep up. 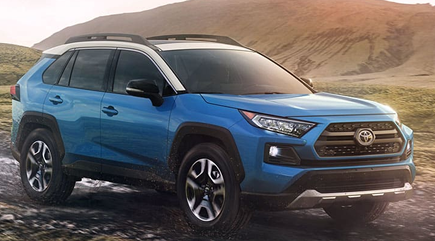 It’s no news that Toyota has been making the rounds, redesigning the Camry, Avalon, and now the RAV4 – and boy is it drastic. The completely new look has the RAV4 dropping its utilitarian, parental feel for a more ruggedly handsome exterior, if you will. The slightly-higher-sitting frame makes it road-ready for some of the less beaten paths, but its best-in-class fuel economy puts it on the path for a great city commuter as well. And the interior more than rivals the exterior in both function and fashion. Needless to say, we’re revved up for the RAV4. We hope you were able to beat the heat and enjoy learning about the hot new treats soon to hit our streets. Remember, it doesn’t matter what you’re cruising in, as long as you’re staying safe. If your vehicle happens to stray from the path, we’ll be there to restore the rhythm of your life and get you back on the road.